The news today is that the Duchess of Cambridge, Prince William’s wife and future queen, is to be volunteering with Beaver Colonies and Cub Packs close to where she is living, presumably in North Wales. Now the interesting thing about this is that she is going to actually help out at meetings and activities and not just be a distant ‘figurehead’. The Duchess has chosen to volunteer with us because she has been so impressed by the impact that we have on young people and on our communities. Like many people The Duchess is incredibly busy. What has made it easy for her to volunteer is that we offer a model of volunteering that she can fit around her other duties and obligations. As an organisation we realised some years ago that we had to be accessible to all potential volunteers; not just those who could commit to regular weekly meetings. All the work we have done to encourage ‘flexible volunteering’ has been to support this. The involvement of The Duchess is the most wonderful endorsement of the volunteering opportunities that we are able to offer – you must make sure that you seize it. Over the coming days the news of The Duchess’s involvement in Scouting will be a talking point with other volunteers, with parents, perhaps your friends or family. When you are speaking about the news, make sure you don’t just talk about the news itself, but the different opportunities there are for everyone to volunteer. Now this is good, as the impression people get about volunteering is that you MUST do it on specific time and days etc. The news is all over the media this morning along with the fact that she’s going to be the patron of 4 other charities. All in all a very good piece of news for the Scout Association and hopefully it will lead to more people volunteering to help out with Scouting and many other voluntary organisations. I’ve been a bit busy with other things in my life just recently (her name is Laura and she’s 8 weeks old! ), but hopefully I’ll be posting more again in the new year. 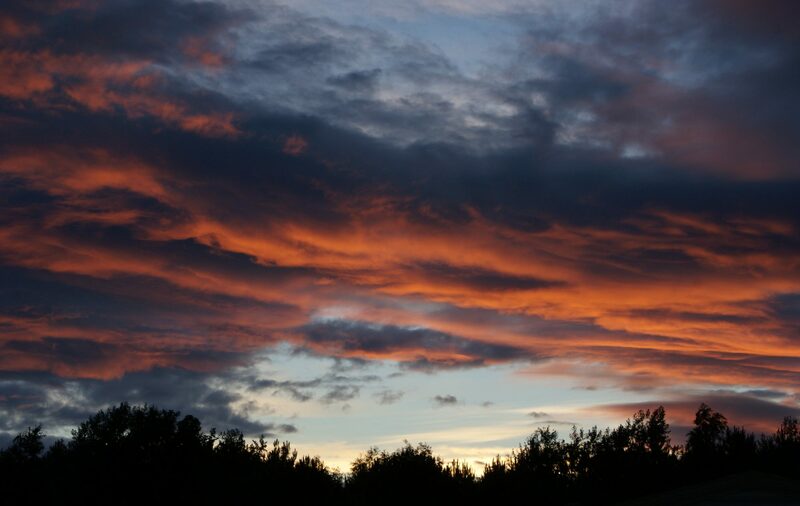 Many thanks to those of you who have taken the time and effort to comment on my posts, I really appreciate it, and I hope to see you all in 2012. Ok, not me specifically, but all the adult volunteers who help with Scouts throughout the year. I have to say that it’s a nice touch to get Bear to do videos like this. He doesn’t have to do it, but it’s nice to know that the work all the adult volunteers do is appreciated. 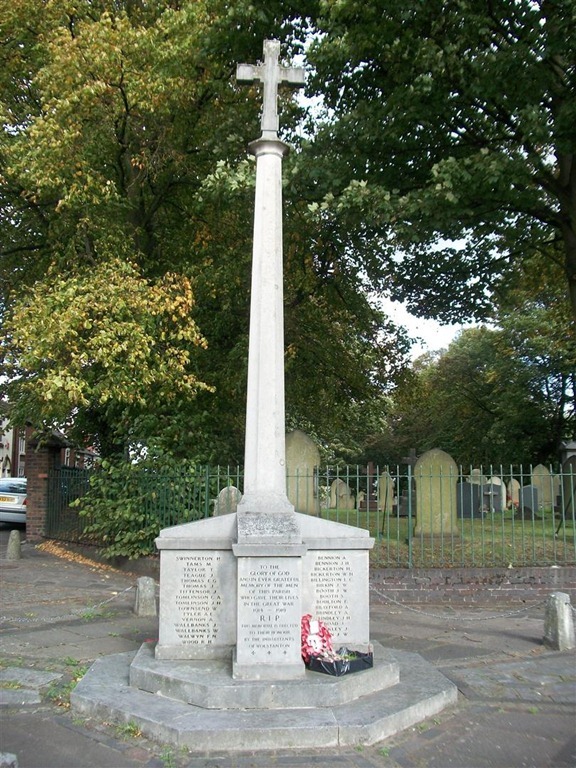 Earlier this year I bought a book about the men who died in World War 1 and who are commemorated on the War Memorial in Wolstanton. I was quite interested to learn that three of the names on the Memorial are those of our Scouts who died in WW1 and that there is memorial to one of them in the Churchyard and one is actually buried there! 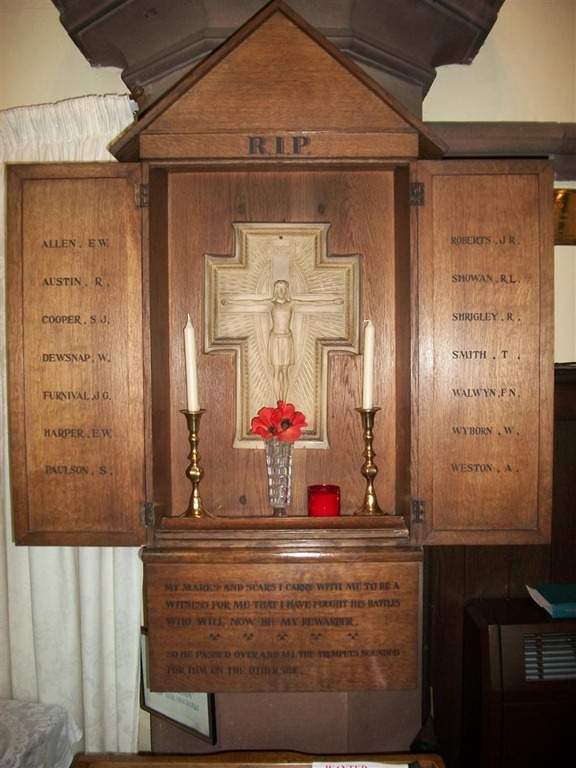 Reginald Showan is on the War Memorial and on a Memorial in the Church, Joseph Furnival is on the War Memorial, on a Memorial in the Church and has a Memorial in the churchyard and Tom Lewis is on the War Memorial and is buried in the Churchyard. See update below. 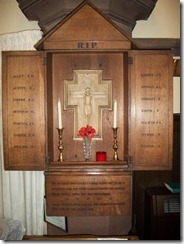 Having found this out, I decided to look a bit deeper into the men commemorated on our Memorial. Over the last few months as time, job, children etc. allowed, I found out a lot about them, including family information, army records (for some of them), newspaper cuttings and photos of their graves (if they have one). It is my intention to publish all the info on each man on our History site in due course (time permitting!). On the 11th November I was looking at our local newspaper at and there was a section for remembering those who had been killed in wars. One caught my eye as it was from the niece of Reginald Showan. I asked the paper to pass my details on to her and to ask her to get in touch with me. She did and I went round to see her as she lived locally. 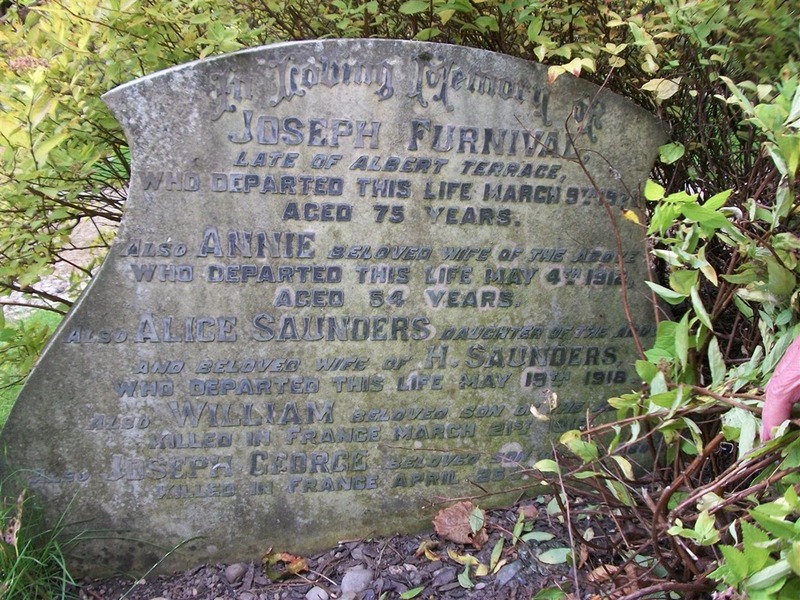 She did not know he was a Scout or that there was a memorial to him and his fellow Scouts, nor that his family had paid for a candlestick in memory of him in our Church. He has no known grave because she told me he was ‘blown to bits’. Very sad. She gave me an interesting photo though. This shows him with his mother and brother Ian Malcolm ‘Mac’ on or around the time he joined up in September 1914. 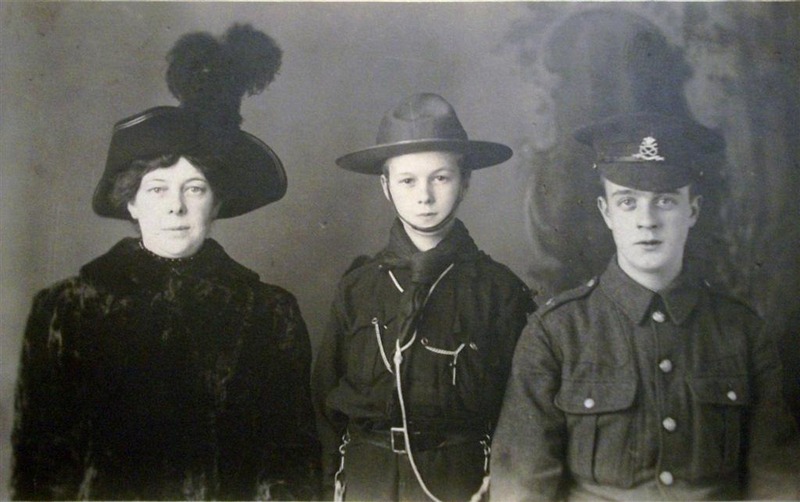 The very interesting thing is that his brother is in Scout uniform and is more than likely a Porthill Scout. So this is now the earliest photo of one of our Scouts we have! Being a glutton for punishment, I’d also decided to try to find out some information on the list of 34 Scouts we have from 1908 (see here). Again, some I’ve found out lots about, some nothing at all and some just a slight bit of information. The ones I’ve got information on show that their stories are very varied. One died in 1913 and another emigrated to Winnipeg in Canada, fought in France in WW1, returned to Canada and ended up living in Chicago! But there is one that is interesting and leaves me with a ‘problem’. One of the Scouts on the 1908 list is a J H Strange. It didn’t occur to me at first that he was living at the same address as our first Scoutmaster, William Hockett. After some digging, I found that William Hockett was his step father. James Harold Strange wasn’t a Scout for very long however, as he joined the Grenadier Guards at Lichfield as a boy soldier on 18/12/1908 aged 14. He became a drummer in the 2nd Battalion Grenadier Guards, attaining adult service on 14/08/1912, and ceased to be a drummer a year later. His Battalion embarked for France on 12/08/1914 and he was in action from 24/08/1914 during the retreat from Mons until he was killed during the Battle of the Aisne some time between 14-16/09/1914. 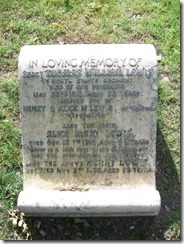 He has no known grave, but is commemorated by the Commonwealth War Graves Commission. And herein lies the ‘problem’. He isn’t commemorated on our memorial. 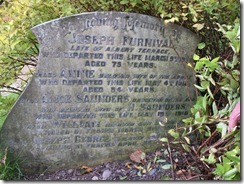 I guess this is because around the time WW1 started, his family moved to Hertfordshire, where his step father was from. I have, however, added him to our memorial page. I think at some point we will have to add him to our memorial and in the Church’s Book of Remembrance, but how we add him to the Memorial is something to be thought about for the moment. Although, as ‘problems’ go, it’s not a bad one to have. He will be commemorated by us, as it is the reason I started to look into the lives of these men. To be honest, although we had the Memorial, up until a couple of years ago, we knew nothing about these men. Which considering we have the Memorial to honour their memory, wasn’t really on! Which is why I wanted to find out all I could about them. I do wonder if any of the others in the list of 1908 Scouts I have were killed in WW1, although I hope not. 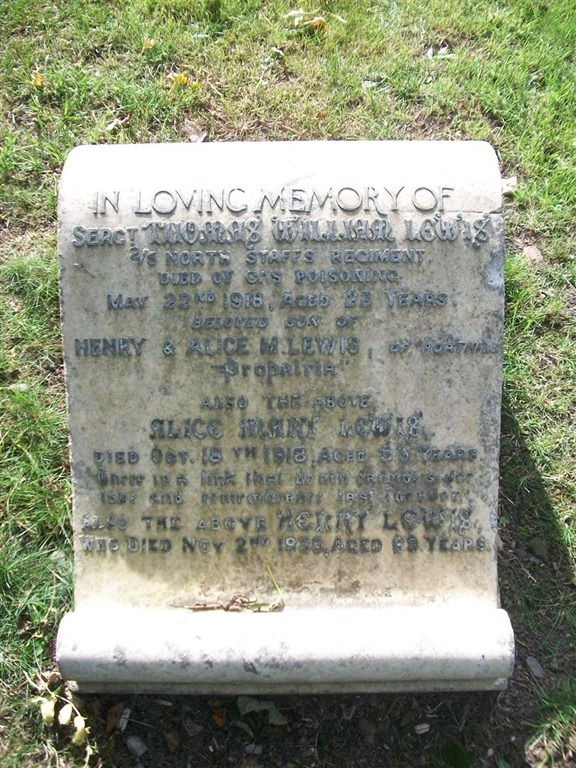 Update 02/04/12: After a lot of searching, it appears that the Tom Lewis buried in the Churchyard isn’t ‘ours’. You can read about the correct one on the site here. 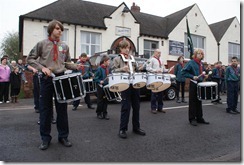 Last week, some of my Group’s Beavers, Cubs, Scouts and Leaders went to watch the Burdi Boys Gang Show from Potteries North District (which was kind of our old District before things were changed in 2005). In 1931, Ralph Reader, then a Rover Scout who was trying to make his mark in theatre in the USA and London, was asked to write a Scout based amateur variety show to help raise money for a swimming pool at Downe Scout Camp (now a Scout Association National Activity Centre). Rehearsals commenced under Reader’s direction on 25 May 1932 (his 29th birthday). Initially the show did not have a title, but during a rehearsal break, Reader recalled later, he asked a cast member if everyone was ready to which the response was “Aye, aye Skip, the gang’s all here”. The first production, under the title The Gang’s All Here ran between 30 October and 1 November 1932 at the Scala Theatre in central London. Despite the fact that the show was not a sell out, enough money was raised to fund the swimming pool and the show was well received. Baden-Powell, the founder of scouting, approached Reader and persuaded him to produce another show in 1933. This show was produced with the title The Gang Comes Back and ran for a week. A tradition had been born and Reader continued to write and produce the London Gang Show. In 1934 the show became known as The Gang Show and the song Crest of a Wave was performed for the first time, becoming over the years the Show’s international anthem. Burdi Boys itself has been around since 1958 and has survived 2 District amalgamations. The show was co-produced by Rachael, my Group’s Beaver Leader and had Paul, our Scout Leader, and one of our Beavers in the cast. The show started with 1st Kidsgrove’s Scout Band playing a couple of tunes (The Burdi Boys theme and Crest of a Wave if I remember correctly) which was an innovative way to start the show. After that, came the usual mixture of songs, dancing and sketches. It wasn’t long before the Beavers came out to sing ‘Teddy Bear’s Picnic’ and, as usual, they stole the show! Both the Beavers and the (also excellent) Cubs featured heavily in the first half of the show as they are not permitted to be onstage past a certain time. They, along with the rest of the cast, did really well in the song and dance numbers. The second half of the show featured the Scouts, Explorers and Leaders and included a rendition by the cast of Bohemian Rhapsody and this actually worked very well! Towards the end, after having some ‘advice’ from Executive Producer Paul (who said again he wasn’t doing another show – now a running joke! ), the co-producers Sarah and Rachael sang a duet. After this came the finale which featured songs from the TV series ‘Glee’ followed by, of course, the Burdi Boys Theme tune and A Crest of a Wave. It was a shame that the Beavers and Cubs weren’t able to take part in the finale (they did on Saturday), but it was an excellent end to an excellent show. Well done to everyone who took part. Oh, we all liked the comedy District Commissioner – or was it the real one?? I thought I’d put all the photos I took from the Remembrance Sunday parade into a video. Enjoy! Our Beavers, Cubs, Scouts along with the Brownies and Guides, today paid respect to those who have been killed in wars, by parading round Porthill, led by our drum band and then by joining the congregation of St. Andrew’s Church for a service of Remembrance. 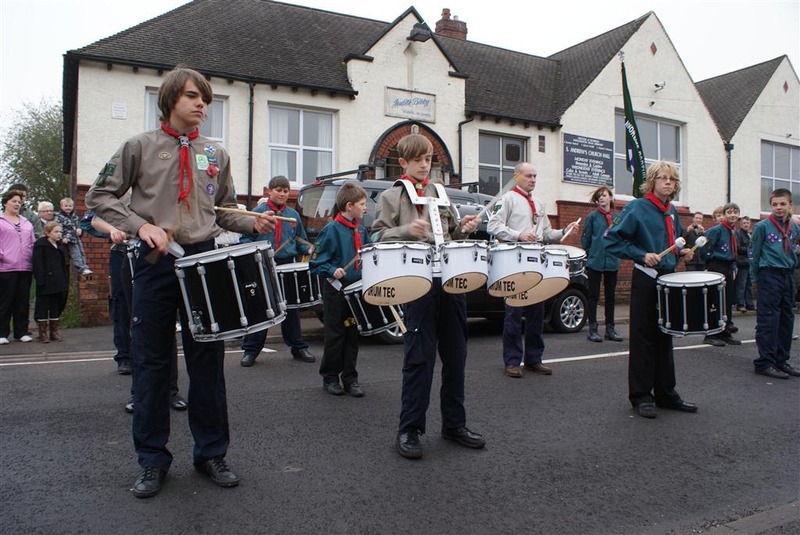 The Scout Group’s drum band was restarted this year by our Assistant Scout Leader after a gap of around 50 years! 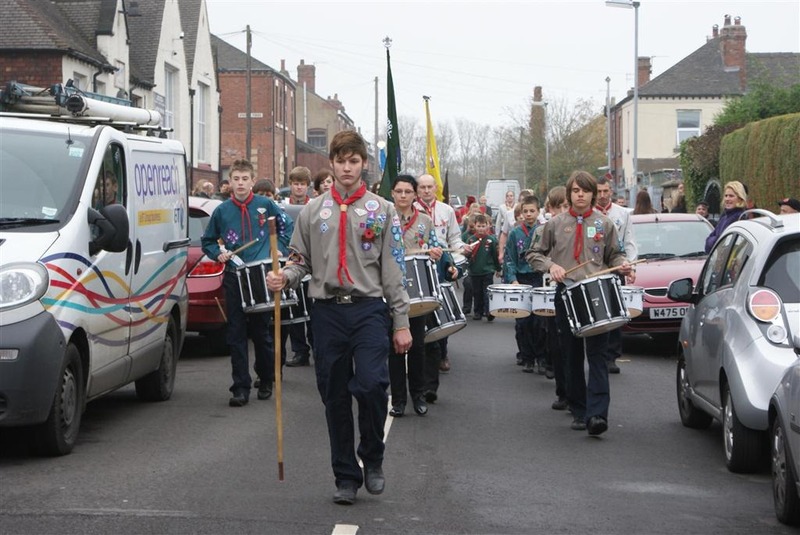 Last year marked the first time in over 20 years that the Scouts and Guides paraded from St. Andrew’s Church Hall to the Church and this year they took a slightly longer route around the streets of Porthill. It’s very pleasing to show to the general public that the members of the Scouts and Guides of Porthill have come out to show their respect to those who have been killed in wars. I’m also proud of the skill and dedication of the members of the drum band who only reformed at the beginning of this year and are now skilled and confident enough to lead a parade through the streets of Porthill. I’d invited our local MP and a number of local Borough and County Councillors to come along and see us parading. Only one councillor made it, the others were either at other ceremonies (fair enough) or didn’t bother to reply to me (tut tut). I’m very grateful to Staffs Police for making sure the roads were safe for us to parade along! 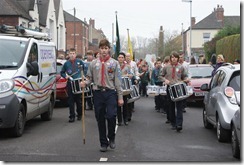 More photos are available in the Scout Group’s gallery here. Today at the 11th hour of the 11th day of the 11th month of the 11th year it is 93 years since the end of the First World War and 97 years since its beginning. Did the War to End All War’s do so? No. But we continue to honour those who died in the service of their countries from that time to, sadly, the present day. The poem below contains the famous words of remembrance, and although it concerns itself with England (sometimes used erroneously instead of the UK), whichever country you come from, you can make a substitution. For those of you who wander by here from time to time, you’ll have noticed I’ve been a bit quiet recently. My Scouting has taken a bit of a back seat as we’ve been preparing for the arrival of our second daughter. Laura Lily Wood was born on Friday last week and is a very health little girl. So as is to be expected other things are occupying my time at the moment (she’s having her morning snooze at the moment!). So even though posts will be a little sparse for a while, I do have a couple of interesting things coming up in the next few weeks which I will be sharing with you all. After I’d had a chat last week with Chris Meadows (see his blog here or follow him on Twitter here), he came up with a rather interesting proposal. We would pick a topic and one of us would argue one side and the other one the opposite. One of us would then edit the arguments and put them on his blog with a link to the discussion from the other’s blog. The interesting part about all this is that while we can make opposing arguments on a topic, we may not actually believe that position! This can make for some interesting and thought provoking points being made. On the other hand we may believe exactly what we’re saying! The fun thing is to see if we mean what we say! 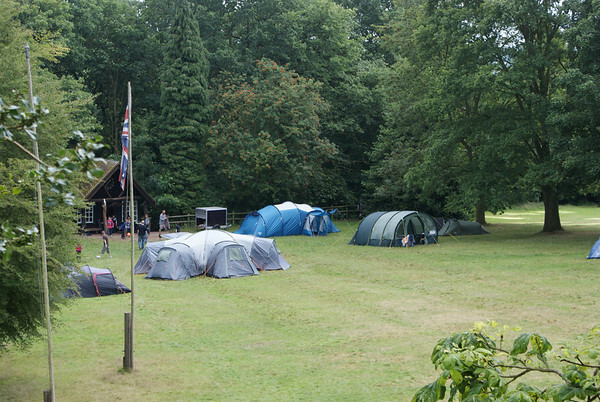 The first discussion about canvas tents versus modern synthetic tents will be posted here soon, so watch this space. The Scout Association have released a new video about the impact Scouting has on local communities. Very good it is too. Take a look. The holidays are over, the nights are drawing in and life begins to get busy again on the Scouting front. The Scouts are camping this weekend, it’s Harvest at church next weekend and the Cubs are camping next month to name but a few things we have on. I always find it interesting that after the lull of the summer, we always come back with such a busy programme for the Beavers, Cubs and Scouts. So plenty will be going on for the rest of the year for the Beavers, Cubs and Scouts and I’ll let you know what my Group is getting up to! 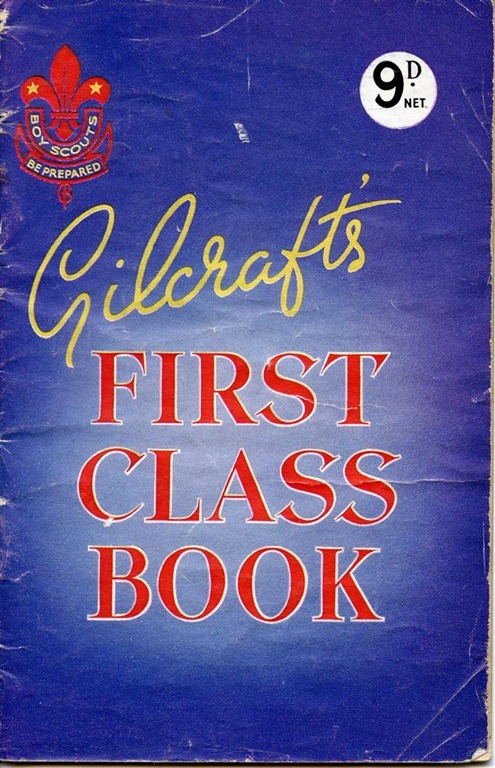 My uncle recently sent me a box of stuff which included a couple of Scouting related books – ‘Gilcraft’s First Class Book’ and ‘How to Pass First Class Tests’. 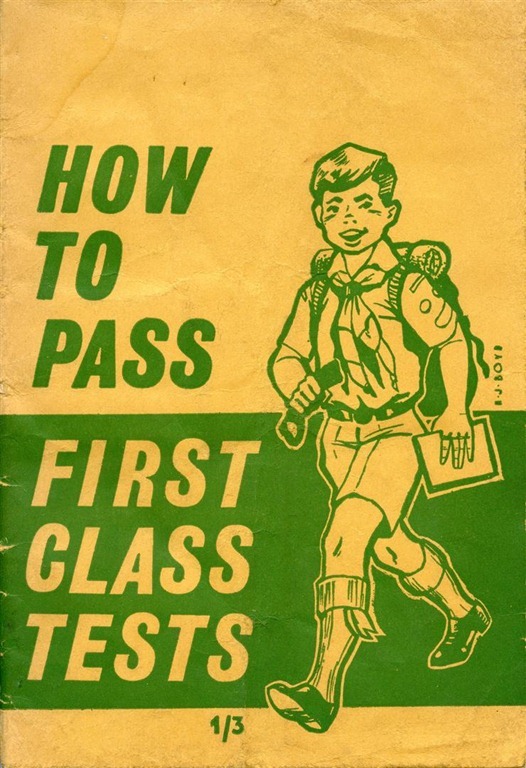 These books were written in 1945 and 1959 respectively (these were actually printed in 1960) and are to help the Scout pass his First Class Badge. 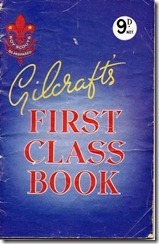 The first requisite to obtaining the First Class Badge was to have already gained the Second Class Badge. Once the Frist Class Badge was gained then the Scout could begin work on the King’s / Queen’s Scout Award (depending if they did it pre 1952 or not). The District Commissioner may allow a Scout to gain the First Class badge without passing the Swimming test, provided he is satisfied that it is not practicable for the Scout to obtain the facilities for learning to swim, and that the Scout gains the alternative badge as in the case of those holding a doctor’s certificate. So no leeway there then! Reading the first aid section is quite interesting. The way the methods of providing first aid have changed quite considerably in the last 50 years or so. There is also a rather unhealthy interest in recognise different species of bird. I’m fairly sure I would have had difficulty with this one! 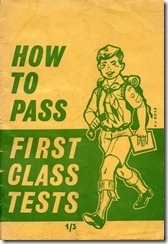 These book are most interesting and show the way the Scouts of the past gained their badges.